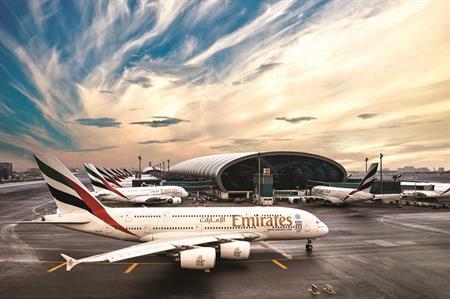 Emirates airline has announced MCI as its preferred Professional Congress Organiser (PCO), as a part of a two-year global alliance with the agency. In line with the partnership, MCI will see Emirates become the official airline for all its large and international events. The strategic agreement will help Emirates build a strong C&I commercial brand in the meetings industry, to better cater to its diverse and frequent business travellers. Thierry Antinori, executive vice president & chief commercial officer, formalised the agreement with MCI’s founder & chairman, Roger Tondeur, at the Emirates Group Headquarters. "The MICE segment is rapidly growing and we are always looking to connect our customers to what matters to them," said Antinori. "Our partnership with MCI will allow us to work even more effectively on the complex requirements of the meetings industry, making corporate travel more convenient and affordable for our customers." Tondeur said MCI was ‘proud’ to be the preferred PCO for Emirates. "The partnership between MCI and Emirates, global leaders in our respective industries, will only result in greater convenience for our shared customers. We are responsible for over 4,500 events annually and having Emirates as our official airline partner will streamline travel arrangements for delegates to and from their meetings," he added. The partnership will see Emirates connecting delegates from across the globe to key business hubs such as Australia, Asia, Europe and the Americas.